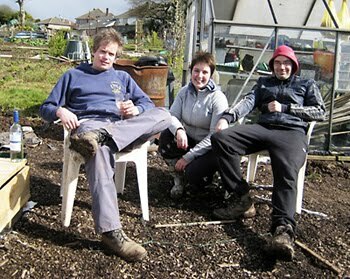 The Dig Issue: Amusing vegetable! I love funny looking vegetables. Supermarket veg is just so boring in shape, always perfectly straight and the perfect orange. Our carrots are conversation starters!! I don't know how they do it (well, no, I do actually but I'm not going to get technical!) but I love the fact that they just look odd. They seem to split into 4 and then twirl their extra carrotty bits around each other! Some of course - just look plain rude but I'll leave that your imagination! 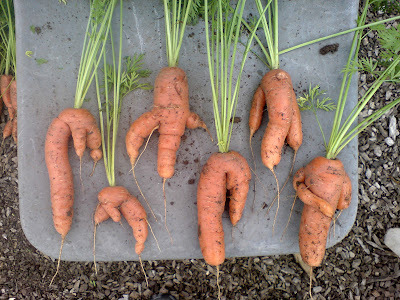 Have a gander at these weird carrotts! 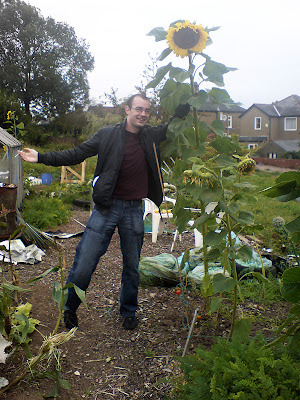 Giant sunflowers - we love em! 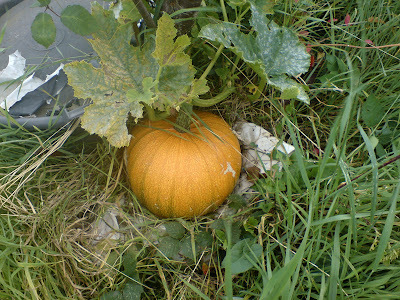 Turning orange, it's turning orange.....wooo-hoooo!!! 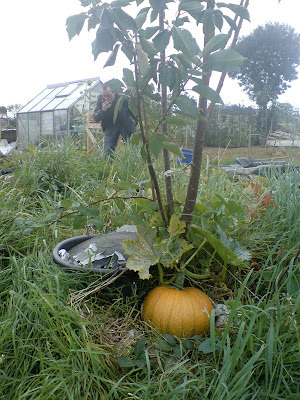 The pumpkin plant was potted about 2 metres behind the cherry tree. Funny how they nestle in odd places! September and it's all overgrown! !